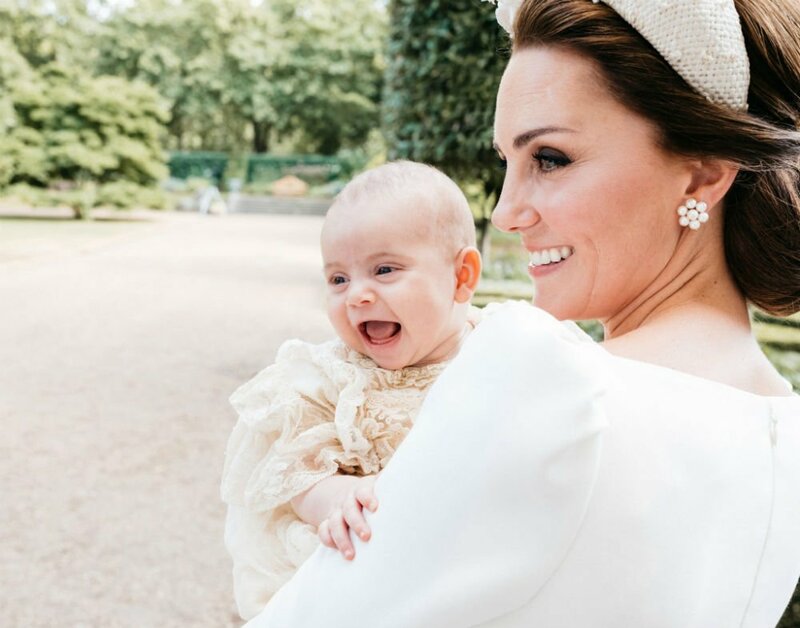 On Sunday, Kensington Palace released 4 official photos of little Louis christening. 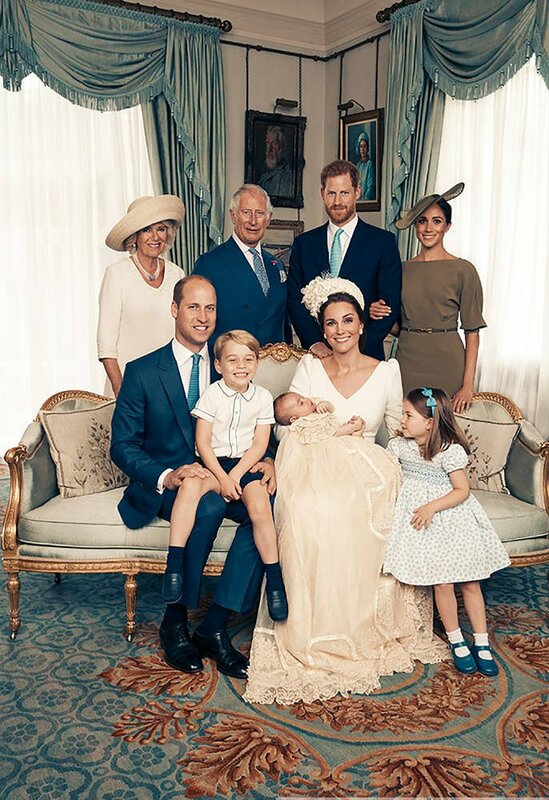 Proud parents Prince William and Kate Middleton chose Matt Holyoak, one of the world’s leading portrait photographers, to take the photos, which were taken in the Morning Room at Clarence House. 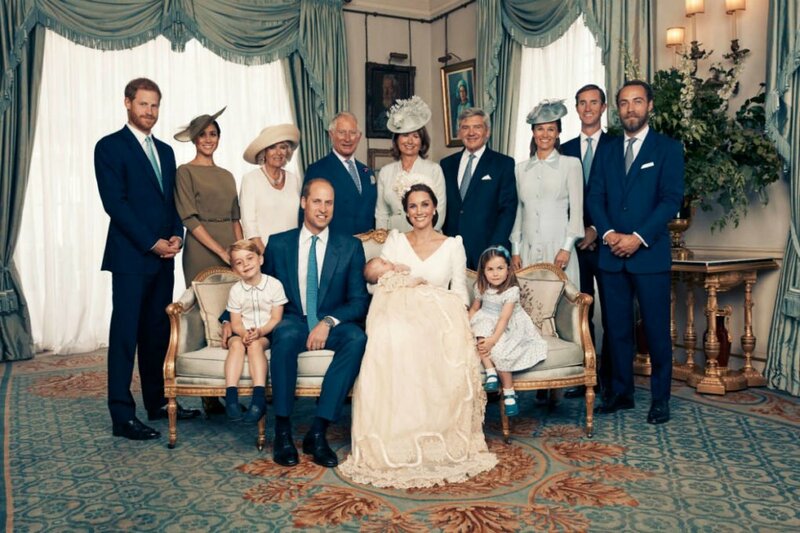 We saw the family of five photographed together for the first time. 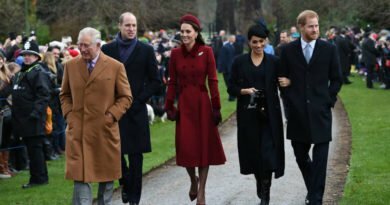 But not only them but also Prince Harry and Meghan, Kate’s parents, Prince Charles and Camilla as well as Pippa Middleton, husband James Matthews and James Middleton made an appearance. 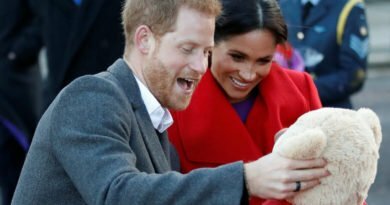 The body language expert noted: “Unlike other royal gatherings this one appears totally lacking in tension and the reason is probably the relationship dynamic. 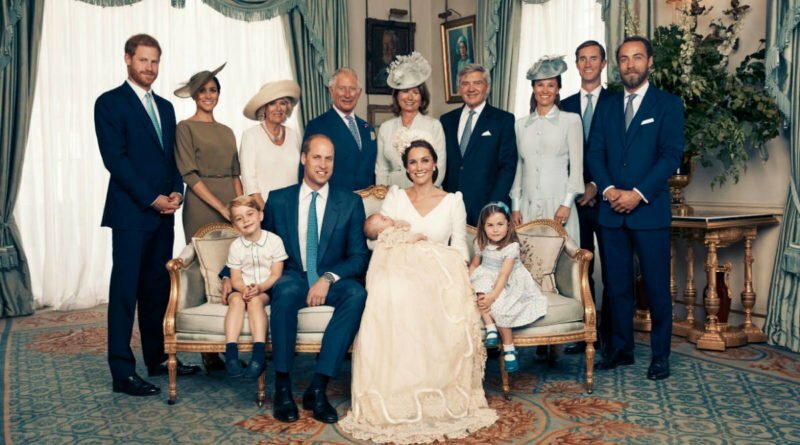 Judi added: “The large group shot is also equally relaxed and the ‘power’ symmetry is telling. Judi continued explaining that with Kate sitting in the center of the photo she has taken the matriarchal role with the Queen’s absence. Judi also mentioned the loving look Charlotte is giving her baby brother. 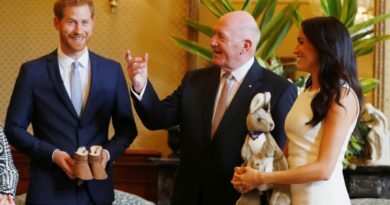 She says: “Charlotte looks equally smitten though.